There’s a standoff at Suyian Ranch. For the past week traditional herdsmen have invaded the land, burned down the tourist lodge and brought in thousands of cattle to steal pasture. Now police reinforcements have arrived and from the overlooking escarpment are trying to decide how best to restore law and order. Suyian Soul tourist lodge – known locally as “Anne’s Camp” – is overwhelmed with cattle picking through the charred remains of the looted buildings. “We don’t allow people to just walk onto the land,” said Anne Powys, whose family has lived on this 44,000 acre farm for more than 100 years and is used to making grazing deals with the neighbours. The anti-stock theft police moved in, but in the confrontation a young man was killed, sparking an escalation – now the herdsmen have built cattle kraals and moved in. At sunrise on a clear day, the sharp peak of Mount Kenya frames the horizon. Giraffes, elephants and buffaloes are among the wildlife browsing the acacia bush. A parched savannah grassland rolls off far into the distance. Laikipia County is a vast but harsh place to raise cattle, needing careful management to avoid overgrazing. 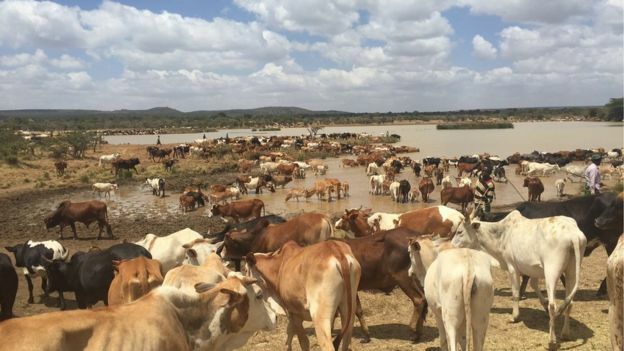 Tens of thousands of extra cattle belonging to Samburu, Pokot and Laikipia Maasai pastoralists destroy the delicate balance, tearing through the landscape, consuming every piece of pasture and moving on. Approaching the squatters is difficult – we tried to speak to herdsmen but they are armed, and suspicious of our intentions they fired shots at our car. 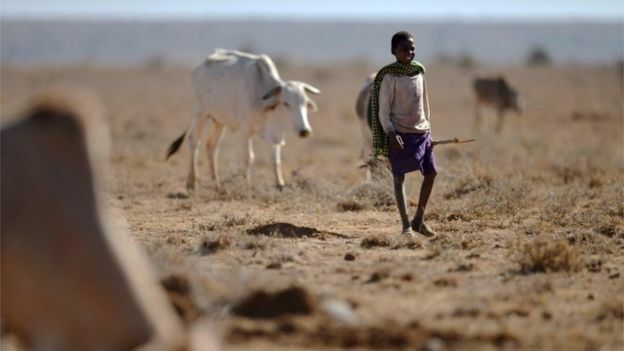 Other herdsmen we spoke to blame failed rains: “It’s because of drought,” said John Lapollei, who was illegally grazing his cattle on a nearby farm. “This is the only place there is pasture, the only place we can bring our cows,” he said, aware it was against the law but willing to risk arrest by an under-resourced police force. The commercial farmers blame overgrazing and poor management for destroying previously fertile pasture. “It’s not about drought. The reality is there are too many people and too much livestock and it’s a global thing,” said Anne Powys, who blames climate change for more extreme weather. 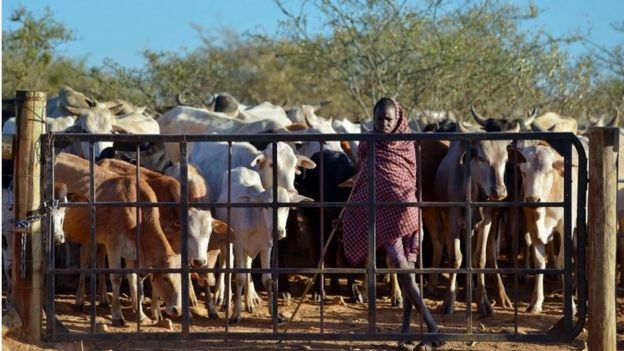 A local politician has encouraged the herdsmen to take over the land using racially charged language – white Kenyans own most large farms. Elections are a few months away and politics here are tribal and ruthless. “It’s not about white ranchers – it’s about the whole community. 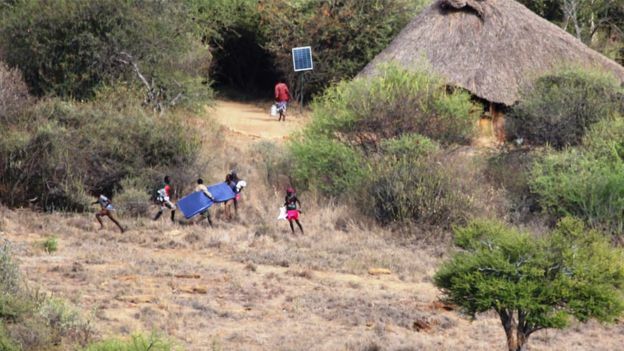 There’s a landscape of different peoples here who are suffering,” said Anne Powys. 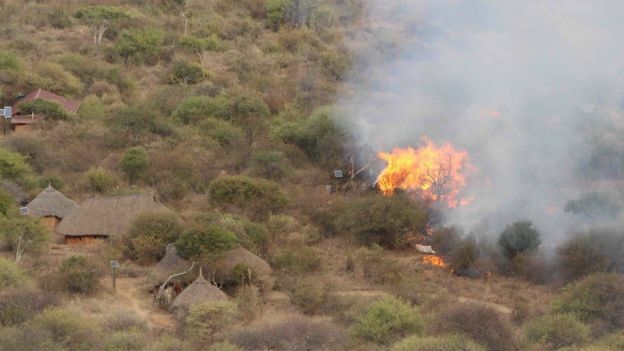 Large ranches owned by black Kenyans and many smallholders have also been targeted. A little further north at a large watering hole on Mugie Ranch, where buffaloes and elephants usually drink and tourists come to visit, there are cows as far as the eye can see, and more on the way. “The damage occurring with the large number of stock at the moment is catastrophic,” said Jamie Manual, who looks after the wildlife. “The land will be overgrazed and degraded and this will turn to a situation where we have a disaster on our hands. A lot of wildlife will die through starvation through a lack of grass in the conservancy,” he said. The cattle make their way to the water around the carcass of an elephant killed in a clash with herdsmen. 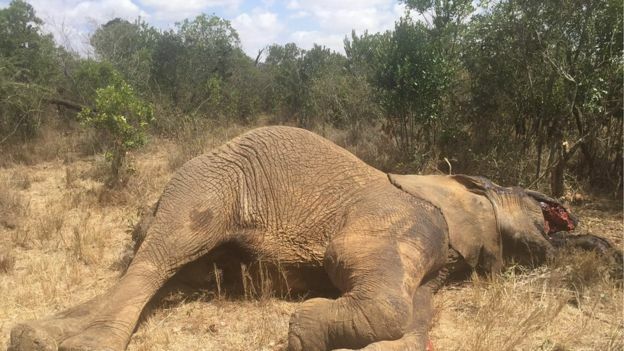 It’s a short drive to another carcass – a large bull elephant killed the day before – both have had their tusks removed. “In amongst them are people who target elephants for ivory. We have lost seven elephants, seven are wounded and we are expecting to uncover a lot of other carcasses,” said Jamie Manual. At Suyian Ranch there’s still uncertainty over how the invaders will be driven away and where they will go next. And it’s not just here – other farms in the area have been hit. Maria Dodds at Kifuko farm is living under siege. Thousands of cattle are illegally occupying her land and many of her staff have fled after coming under fire on most days of the last three weeks. 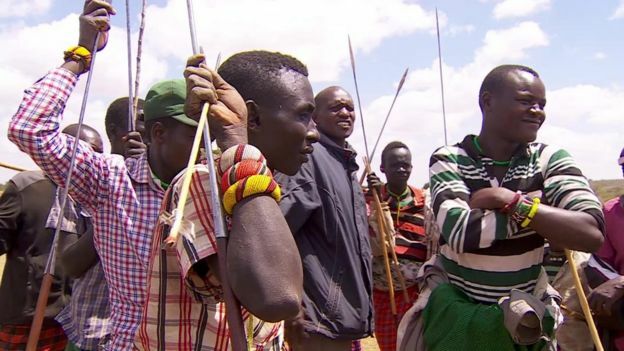 The farmers broadly praise the local police, but say they don’t have the resources or the numbers to confront the heavily armed pastoralists and restore law and order. The national response has been slow, despite updated travel advice from the British High Commission about the clashes. 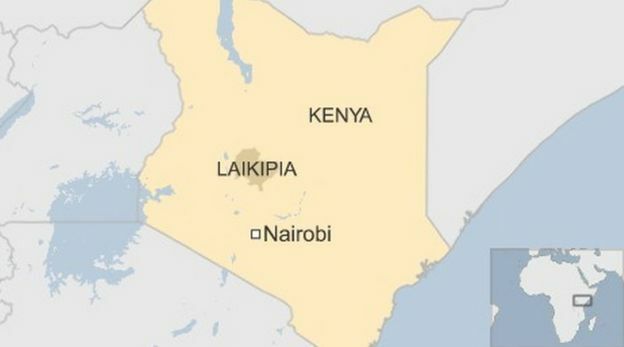 Laikipia is one of Kenya’s most popular tourist areas, and many business owners are afraid that if the pastoralists are not stopped, the violence could spread and the economy could be badly affected. Those already hit warn that unless the government takes decisive action, the land invasions will spread and the crisis deepen. Anne Powys hopes it can still be resolved through dialogue. “Even having lost my camp we are still willing to talk to our neighbours. We’re going nowhere and neither are our community,” she said.